« Bad Hair Day Blue Jay! 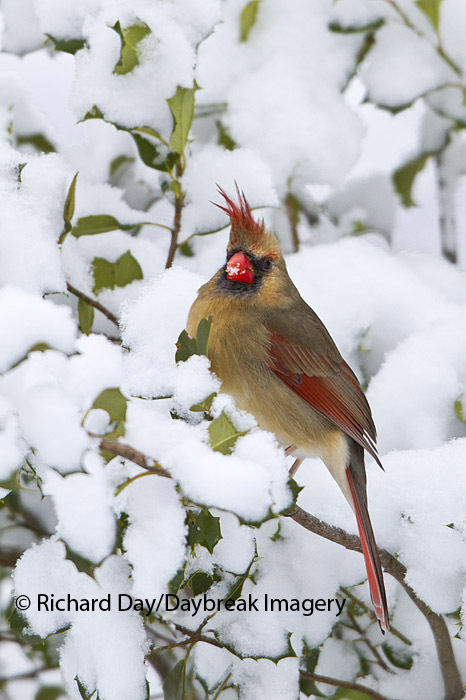 Here’s another Bad Hair Day for the birds from Richard Day’s recent photo sessions in our backyard. What do you think of this Cardinal gal’s “hair-do”? This entry was posted on Tuesday, January 11th, 2011 at 5:17 pm	and is filed under bird feeding, Birds, Seasons. You can follow any responses to this entry through the RSS 2.0 feed. Both comments and pings are currently closed.